I think zucchini are a seriously under-appreciated vegetable. You can prepare them dozens of ways, and they always make a great accompaniment to meats. During the summer, I like to cut zucchini lengthwise into strips, drizzle with olive oil, sprinkle with oregano, sea salt and pepper, and grill until the strips begin to carmelize slightly. You can make a similar preparation indoors by lightly dusting strips of zucchini with rice flour and a sprinkling of nutmeg and salt before frying them in a pan coated with butter or olive oil. 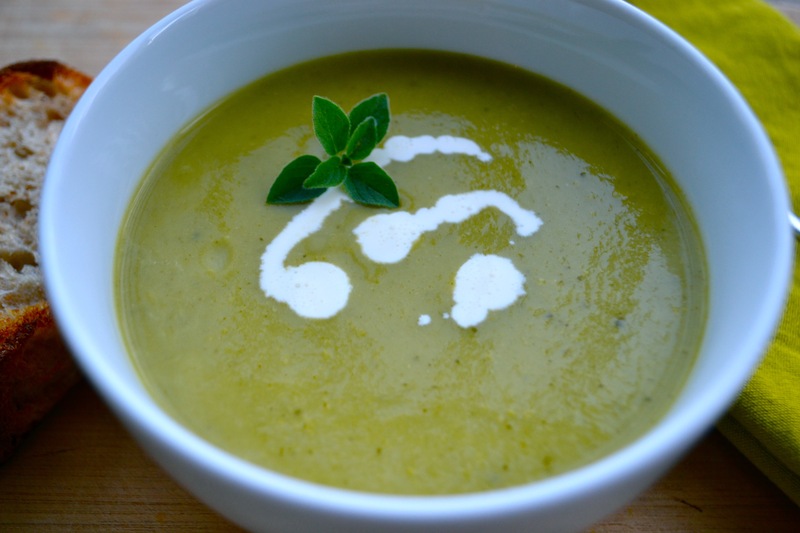 And when the weather turns colder, I like to make zucchini soup. At the market and in the stores, the zucchini are beautiful right now–firm and dark green with subtly shiny skins. I bought a couple pounds so that I could make this recipe that originally came from my sister. I’m partial to it because the last time I made it, my 5-year-old asked for seconds and then thirds! Warm the butter (or ghee) and olive oil in a large saucepan over medium heat. Add the chopped onions, and cook, stirring occasionally, until the onions soften and are slightly translucent, about 5 minutes. Add in the chopped zucchini and cook, stirring occasionally another 5-6 minutes. Toss in the bay leaves and chopped oregano and pour in the stock–enough to completely cover the vegetables. Bring to boil. Reduce heat, cover, and simmer for 30 minutes. Remove bay leaves and puree in a blender until thoroughly blended. Stir in the cream (or milk) and season with salt and pepper to your liking. Serve warm. Note: the flavors in this soup deepen over the hours, so I recommend–time and forethought permitting, cooking it earlier in the day and reheating it for dinner. It’s also good the next day. Use ghee (clarified butter) in place of butter, and coconut or almond milk in place of the cream. Enjoy your zucchinis while you can ! We are well into the winter vegetables here. 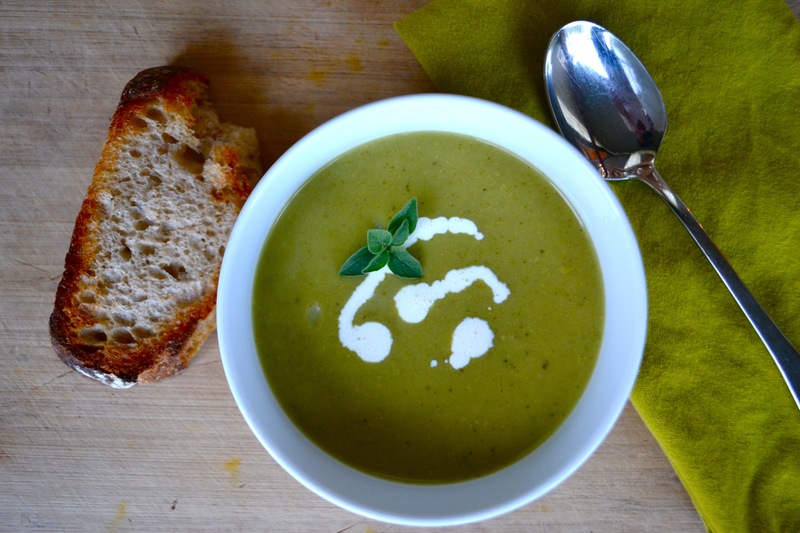 I would call this courgette soup and I do love courgette soup and anything courgetty if truth be told, it is so homely and heart-warming. Your recipe sounds lovely, I will have to wait many many many months before I can give it a try though. Enjoy, as I did when their season was in season.